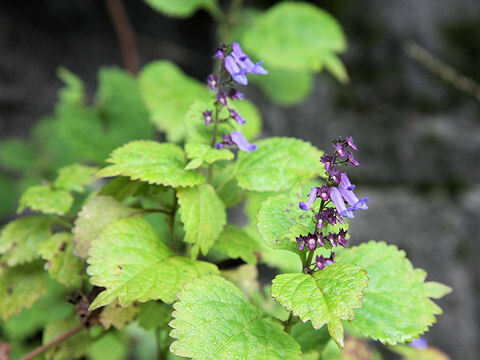 "Kameba-hikiokoshi" (Rabdosia umbrosa var. 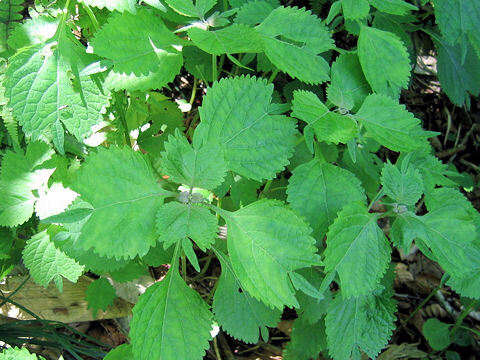 leucantha) belongs to the Laminceae (the Mint family). 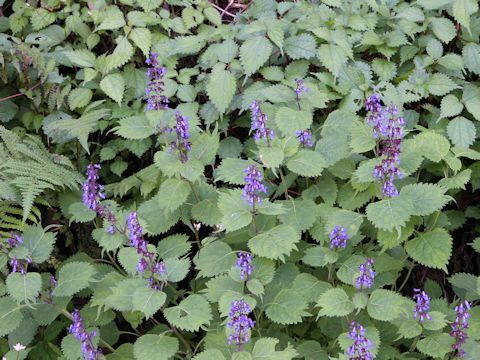 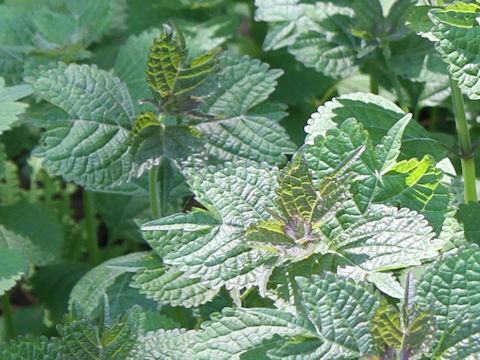 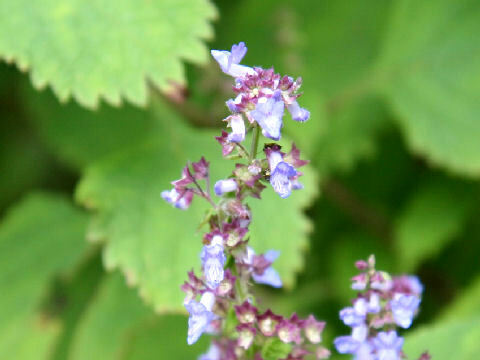 It is a perennial herb that is native from Chubu district to southern Tohoku district of Japan. 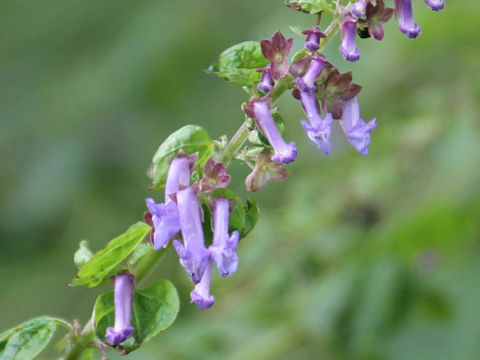 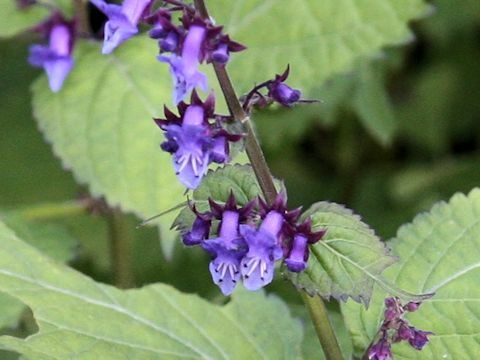 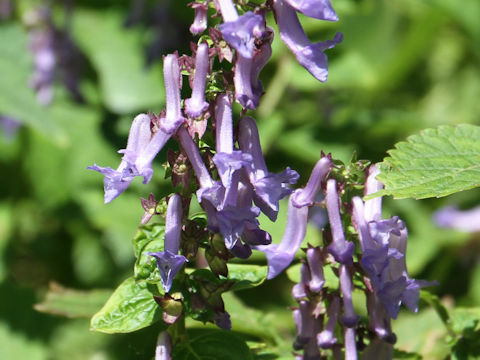 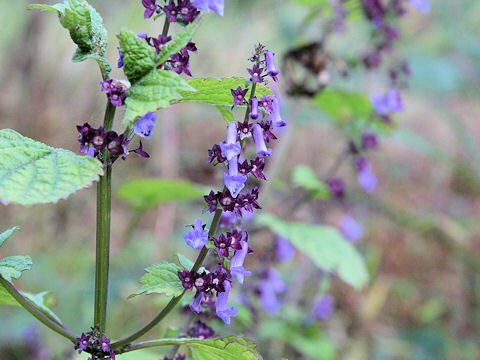 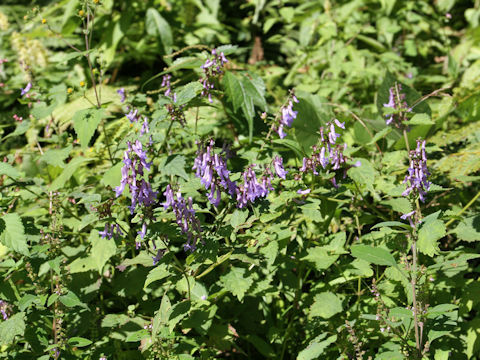 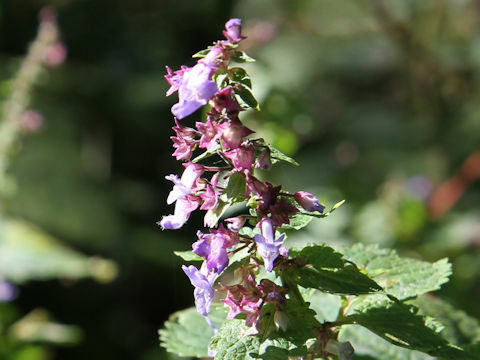 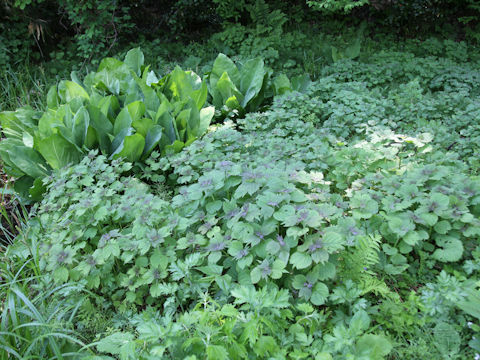 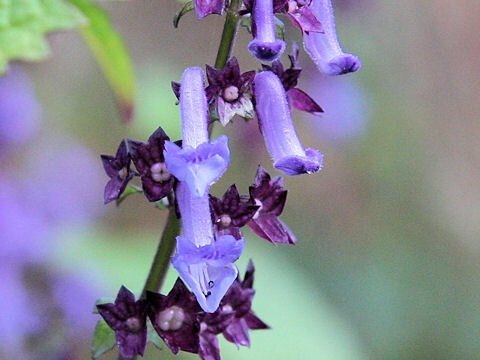 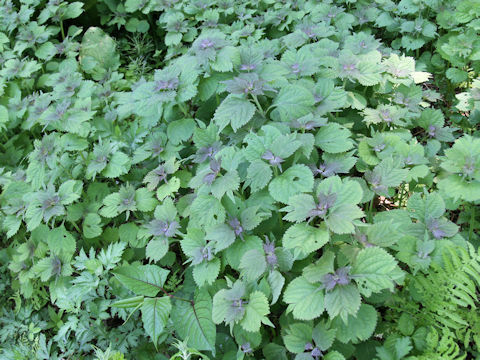 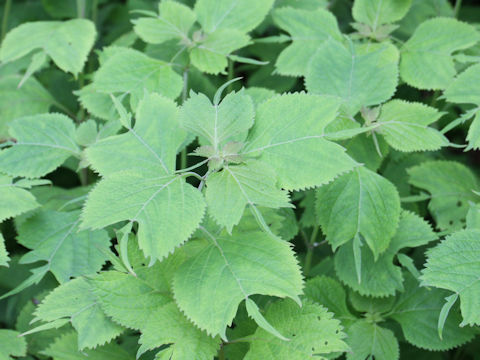 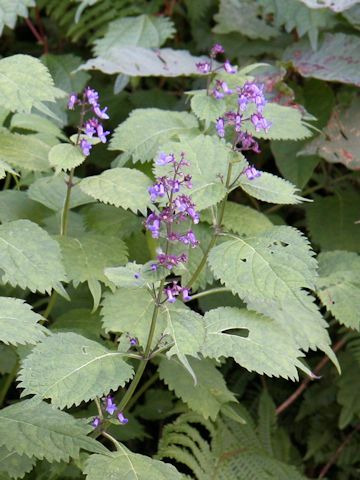 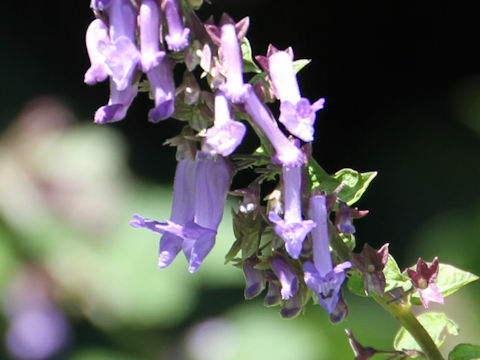 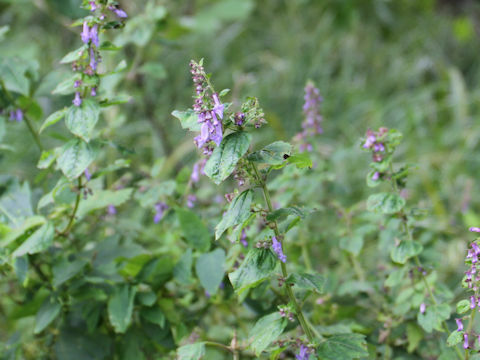 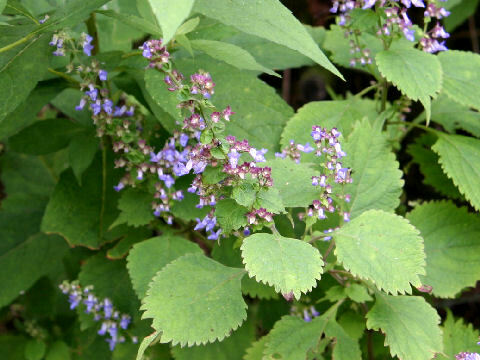 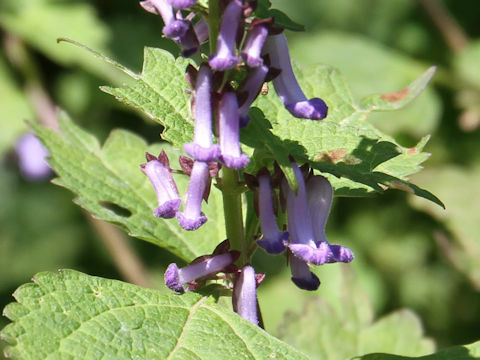 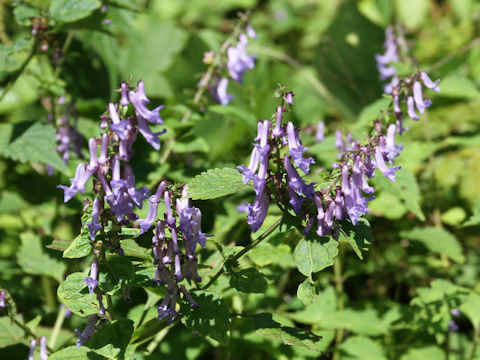 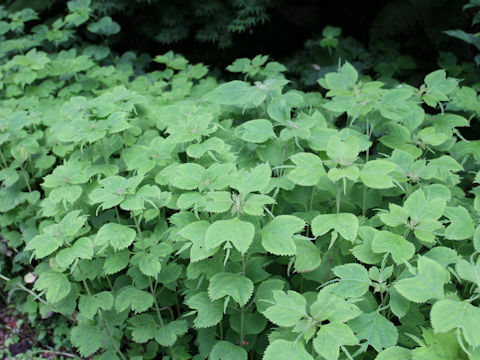 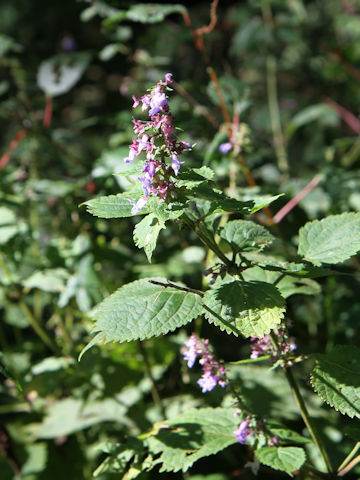 This herb grows in woodland margines and can reach 60-90 cm in height. 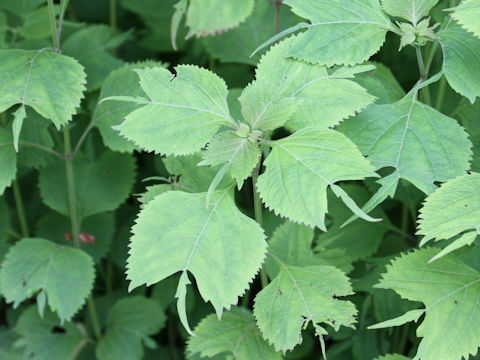 The leaves are ovate-round with acute teeth and trilobate tips - the center lobe elongates like a turtle's tail. 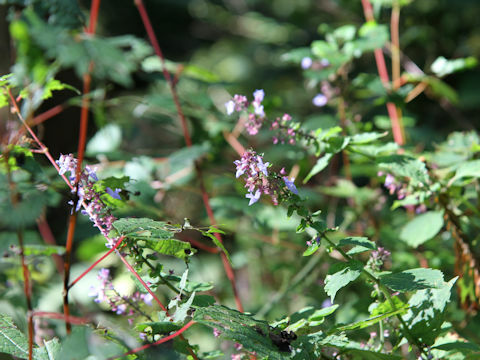 The spikes are borne in terminal branches and the blue-purple labiate flowers bloom from September to October.